We live in a beautiful time; it’s easier than ever to serve up fun and educational games for our children that they won’t want to put down. The wealth of options available mean that the hardest decision now is choosing between them. 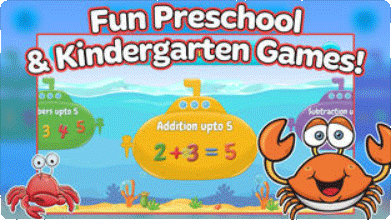 There are so many truly great math games for kids apps available, but some are obviously better than others. Whether you’re focused on the price tag, educational value or the amount of enjoyment they provide can decide which market you need to focus on we’ve collected together three of our favorites which we think tick every box. Designed primarily as a classroom aide Prodigy is at the forefront of the market when it comes to functionality, design, and respectability. It has proven itself to be a peerless and faultless platform for teachers to set homework, evaluate, progress and interact with their student’s education. It’s completely possible to be used by parents for their children but a little of its functionality and promise is lost. It has a wide array of different games ranging in difficulty and covering all topics. Easy to use and customizable to your own child’s ability and pace it is an app that is designed to provide feedback directly to the linked teacher/parent account so you can keep track of your child’s progress. This is a beautiful and seemingly limitless math games for kids app that just keeps on giving. Relatively new to the market the team behind it are listening to the feedback and constantly tweaking and improving the games and functionality. It has stunning visuals and a wealth of different games to teach different core skills across the mathematics umbrella. The difficulty scales to the user but is primarily set by their age/school grade. It rewards them constantly for progression and most importantly it is just a lot of fun. The games are expertly designed to provide education and entertainment in equal measure. This one is primarily for the younger learner, ages 4 to 5, but it is just too good not to make it onto our list. 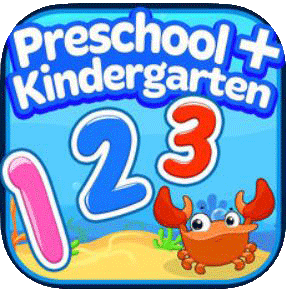 When it comes to math games for kids apps this has to be one of the absolute best. The visuals are absolutely stunning and as a parent, you can happily watch over your child’s shoulder as they play. The concept is a simple one, you play as a hungry caterpillar eating aphids in the correct order or sum to create butterflies that you can then store in a trophy case to mark your accomplishment. There are constant rewards and a real drive for progression, which means your child will keep coming back for more.